Valentines Day, and I’m at home with the kids for half term so I’ve spent the day preparing a fab three course meal to celebrate Valentines Day. As always I’ve dug around Pinterest to find my recipes. 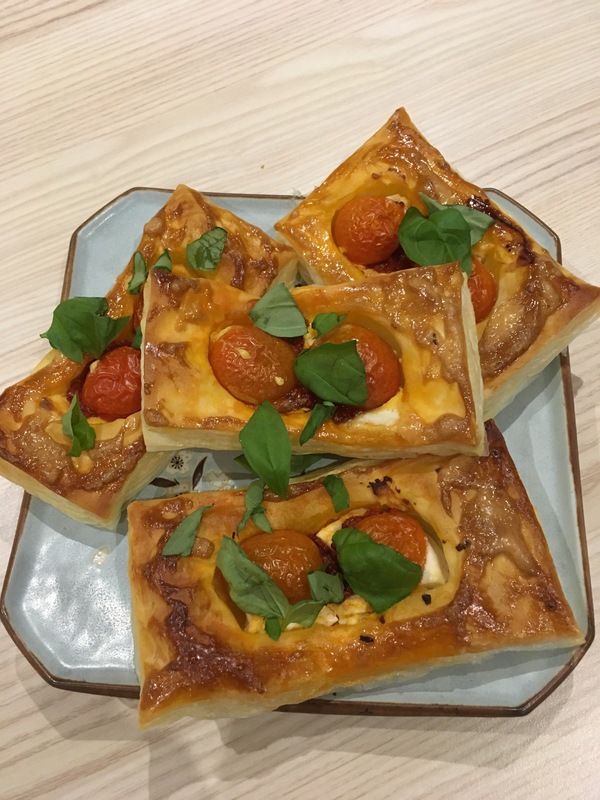 For a starter I made these goats cheese puff pastry tarts – ready rolled pastry made them so easy, just a couple of minutes to put together then put them in the oven for about 20 mins, they can come out 5-10 mins before you serve. 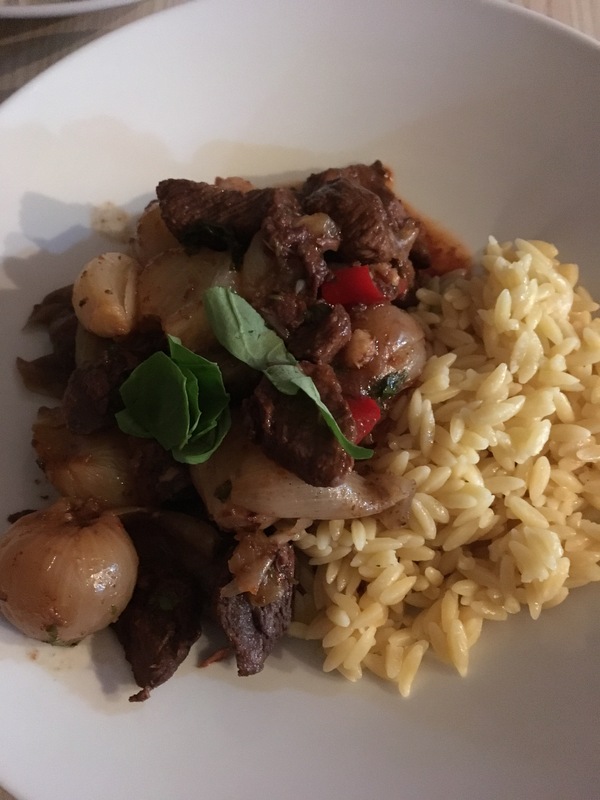 For the main course I went for a beef stifado – I always love Greek food and I found this recipe, but I cooked mine in the slow cooker for 4 hours so I could get it started early and have no last minute prep. I served it with Orzo, which just takes 10mins to cook. 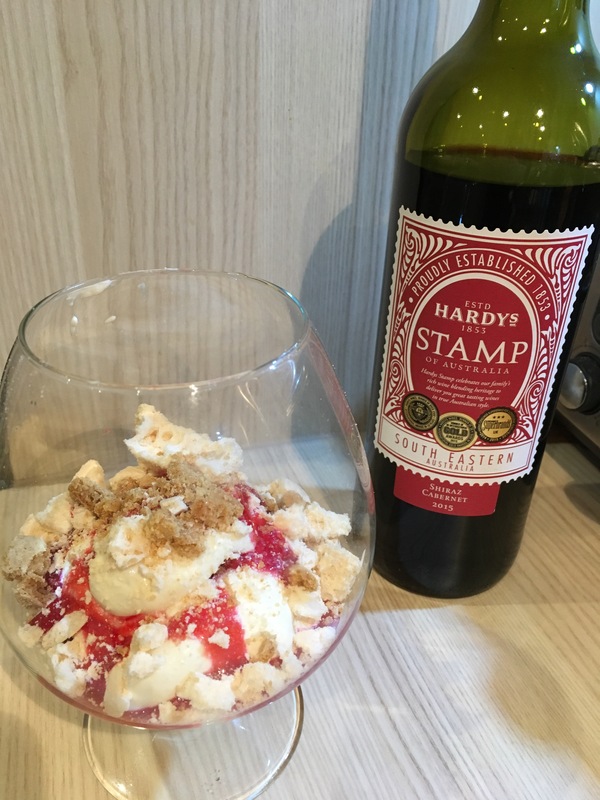 And to finish – a fab eton-mess style desert, I made all the bits up in the morning then just layered it together while I waited for the starter to cook. 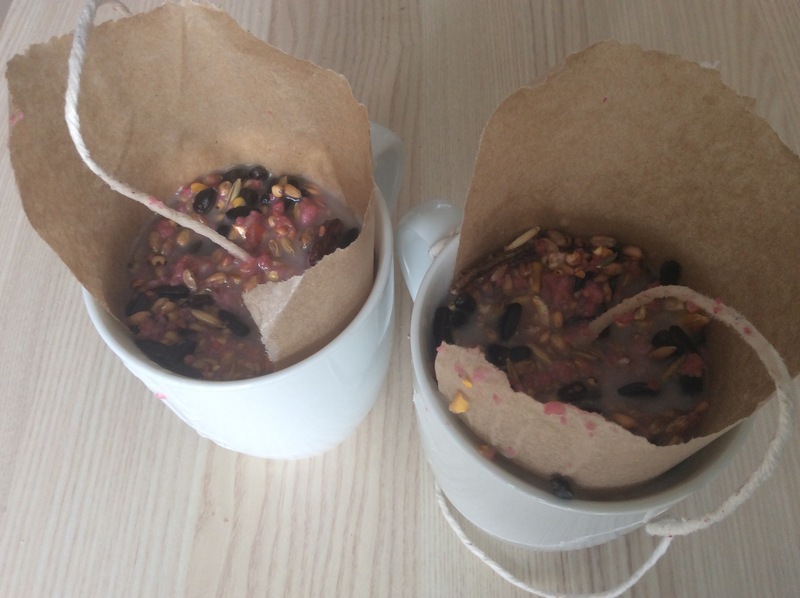 All great recipes and not much stress in the making – time for chocolates and prosecco…. I’m a big fan of Pinterest – I could spend a whole day drifting through totally random collections of images. 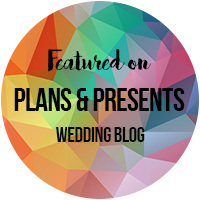 I find inspiration for my makes, ideas of things to do with the kids, and I’m pretty sure I could plan 20 weddings, redecorate a thousand houses and book enough beach holidays to last a lifetime. I hardly ever look in a cookery book now – I find tons of new recipes online and it’s easy to store them on my tasty stuff board. 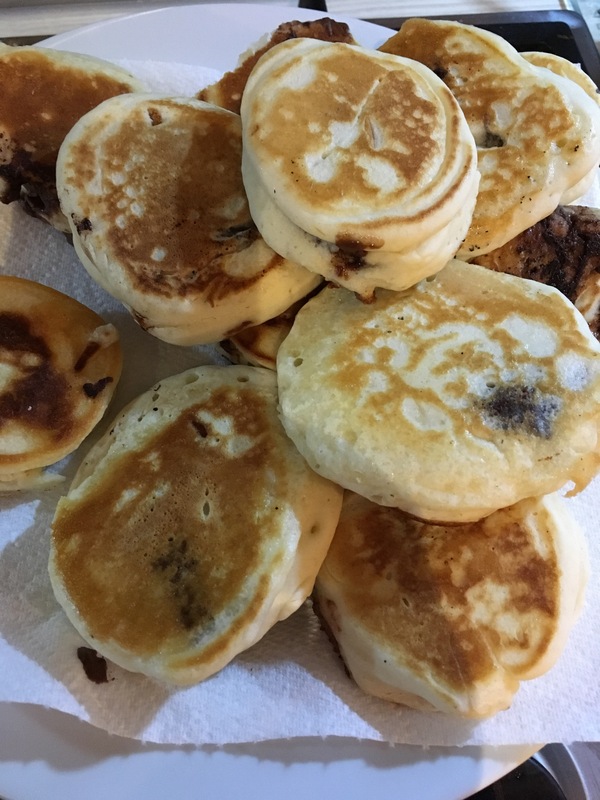 This weekend we’ve been trying out some pancakes from a Japanese hot cakes recipe I pinned. 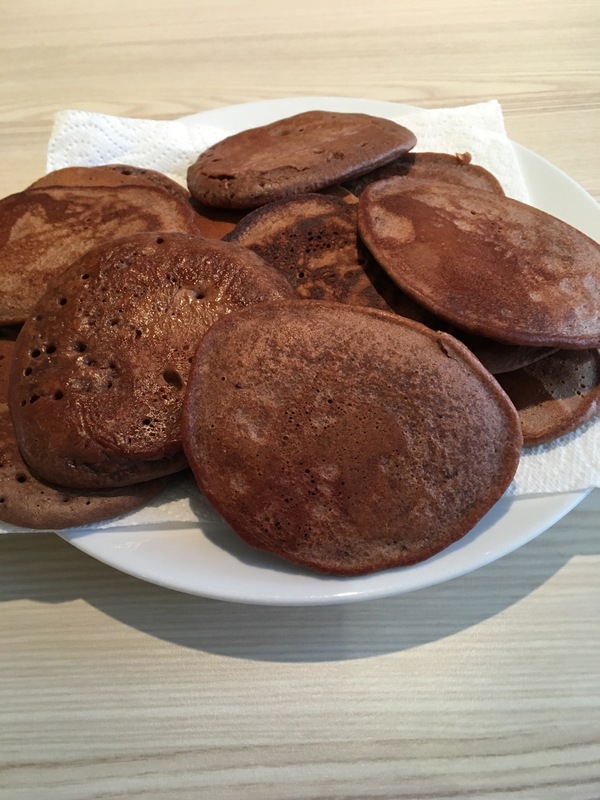 First version – Nutella filled pancakes. 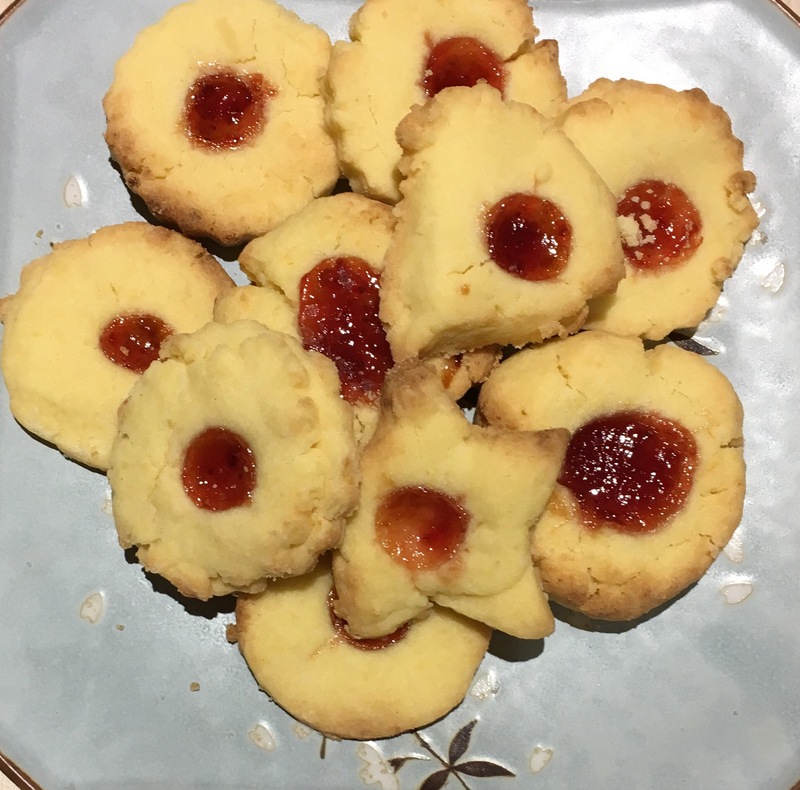 I made the batter and put a spoonful in the pan, added a blob of chocolate spread and topped with a bit more batter, a bit fiddly to do but turned out to be worth it. 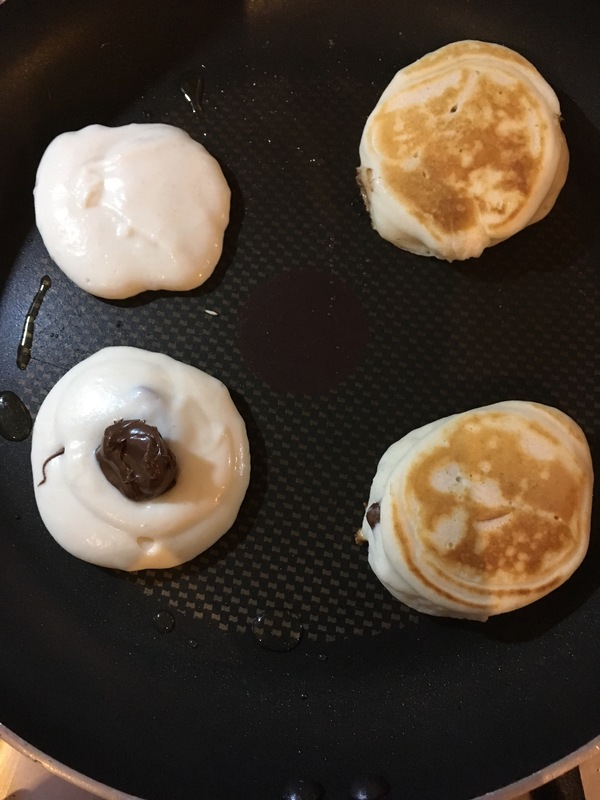 They rose really high and the Nutella melted in the middle, we loved them!